I read this article and found it very interesting, thought it might be something for you. 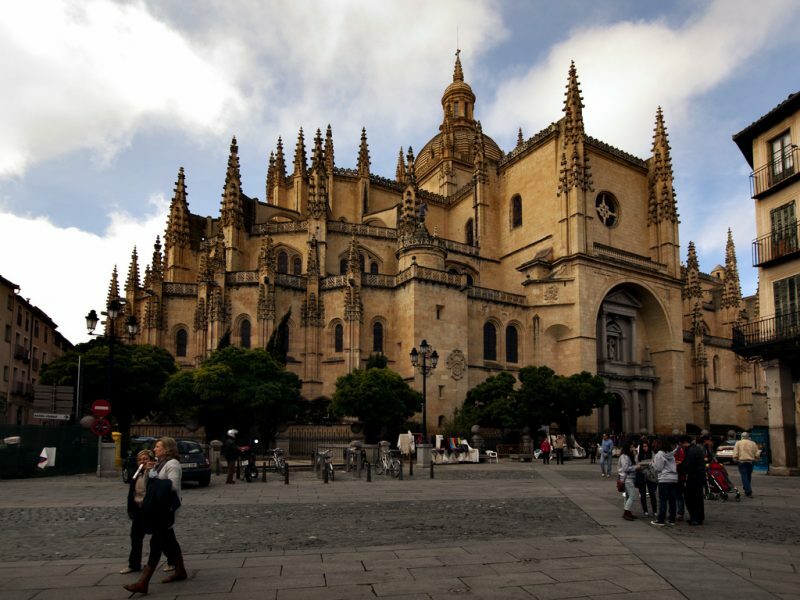 The article is called 10 Things to Know about Segovia Cathedral and is located at http://trip-n-travel.com/listicle/15941/. 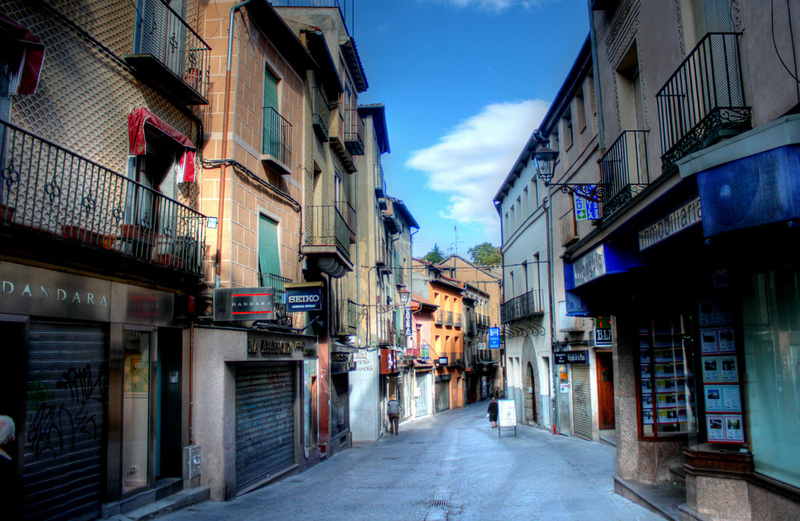 Segovia is a town in central parts of Spain and to the northern parts of Madrid. The whole of Spain is basically characterized by religious groups with the vast majority being of the Catholic denomination. Hence, there are as many as thousands of churches in Spain with most having the title of cathedral. 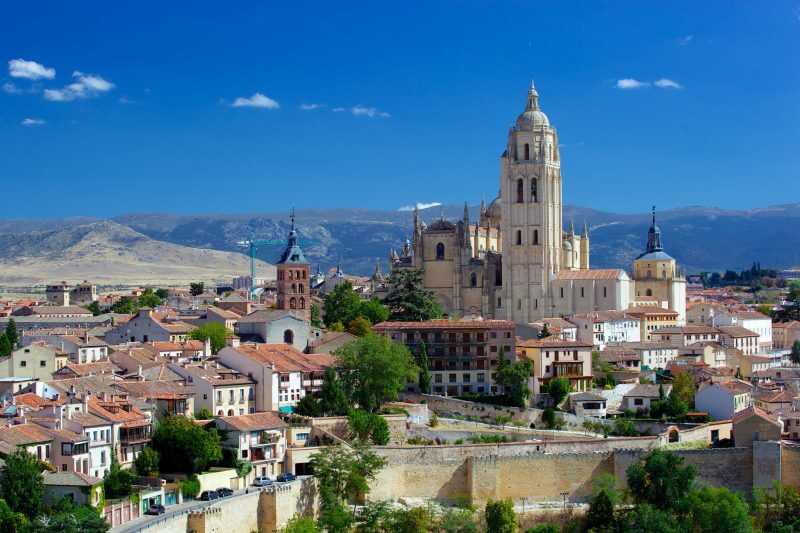 Segovia Cathedral, thus, is one of the many churches in Spain that serve a large group of people in the town of Segovia. A few interesting facts about the Cathedral are well unraveled below. 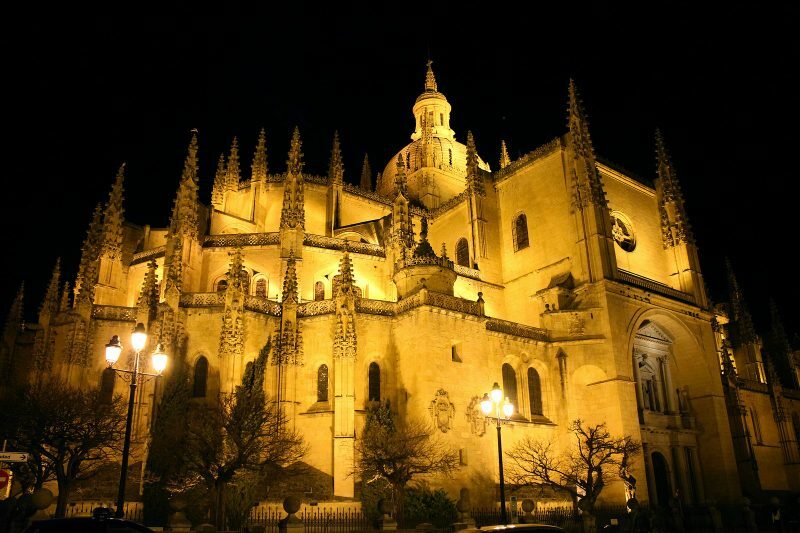 Segovia Cathedral location is in the city of Segovia discovered in the Castelia-Leon community. 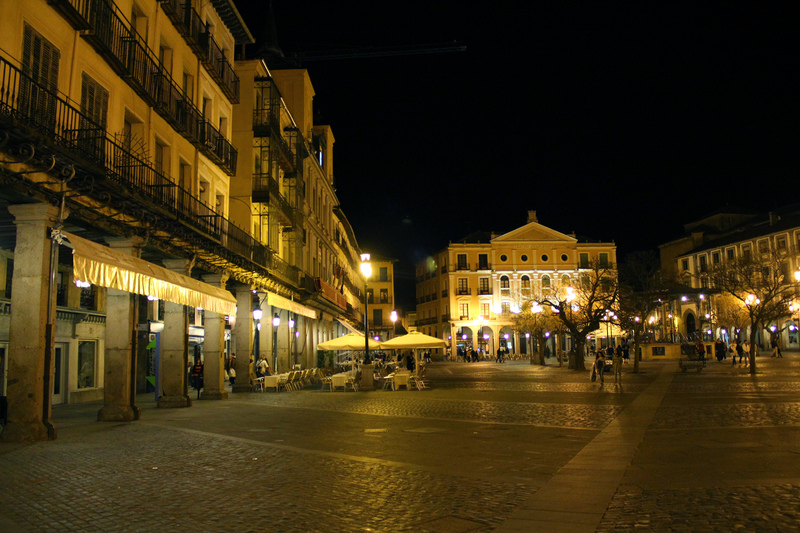 The precise location of the cathedral is the central part of the town in the main square called ‘Plaza Mayor.’ The Segovia Cathedral is nearby the La Conception and El Fogon Sefardi restaurants that are world-class hotels in the city of Segovia. The Segovia Cathedral was initially built by the use of the Gothic style that is presently outdated in the whole of Europe. 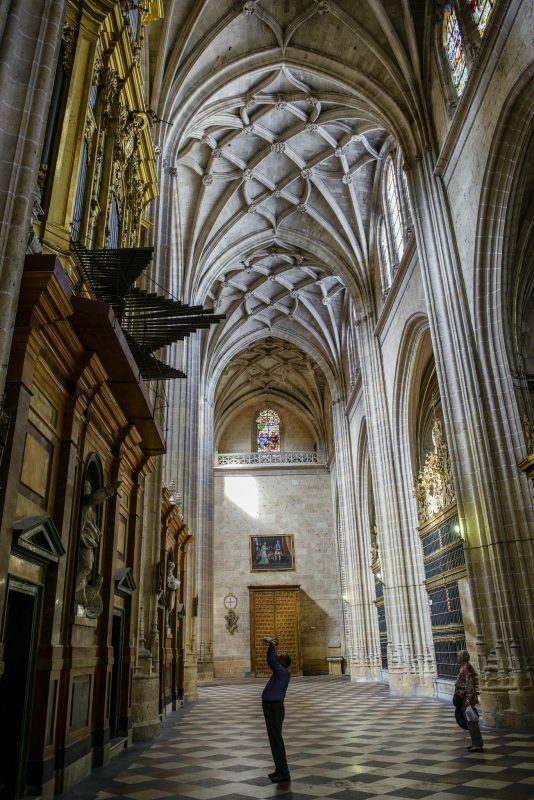 The cathedral was constructed for nearly fifty years between the years 1525 and 1577.The former cathedral was located near the ancient city of Alcazar but due to wars, it was destroyed by the Comuneros and was moved to its present place in the main square. 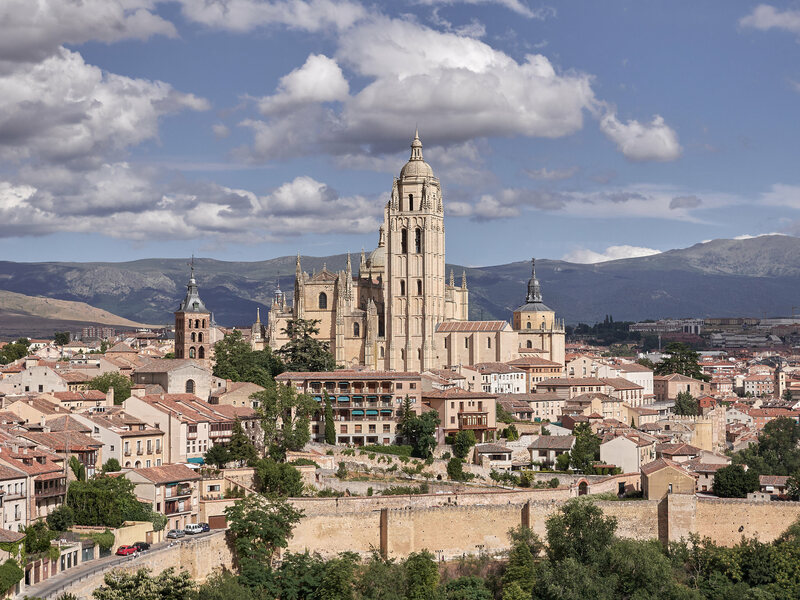 Segovia Cathedral was relocated from Alcazar and built in its present location in the style of the Trasmeran stone builders by their two generations. 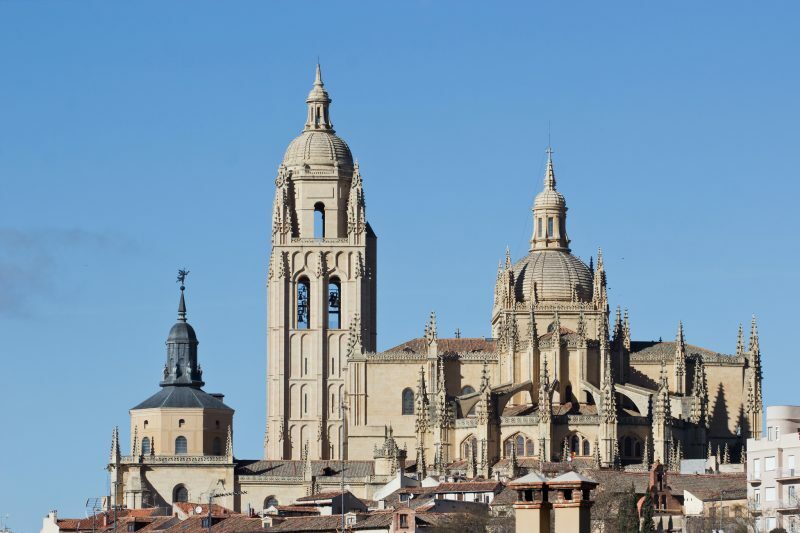 The Segovia Cathedral was built to last ages by hard stones. Its interior and other features were made progressively after the main church was made. The church has got three big vaults, a bell tower, an ambulatory, side chapels and designed glass windows. The designer was Juan Gil del Anatanon. The interior of the Segovia Cathedral is accessed by three doors that were made in the sixteenth century. There are two doors on the southern part of the cathedral called San Goreto and San Frutos doors while on the northern side of the cathedral we have the Puerta del Perdon. There are many features in the interior from the paintings on the wall and the old design. The designs in the cathedral are handmade making them quite sensational especially the stained glass windows. The Cathedral of Segovia is indeed spectacular from the outside in the square. The gothic design of the cathedral come to life from this point. The stained glass windows of the cathedral color and the high vaults are quite bright from the sun’s reflection. The giant doors from the outside are one of a kind. The Cathedral of Segovia also has a museum on the outside from which a brief history of the church can be acquired at relatively low costs. The altarpiece is where the priest or bishop who carries out the mass stands to give sermons. The altarpiece was decorated in the year 1768.There was a lot of man hours spent to incorporate the marble bronze and Jasper to the altarpiece. 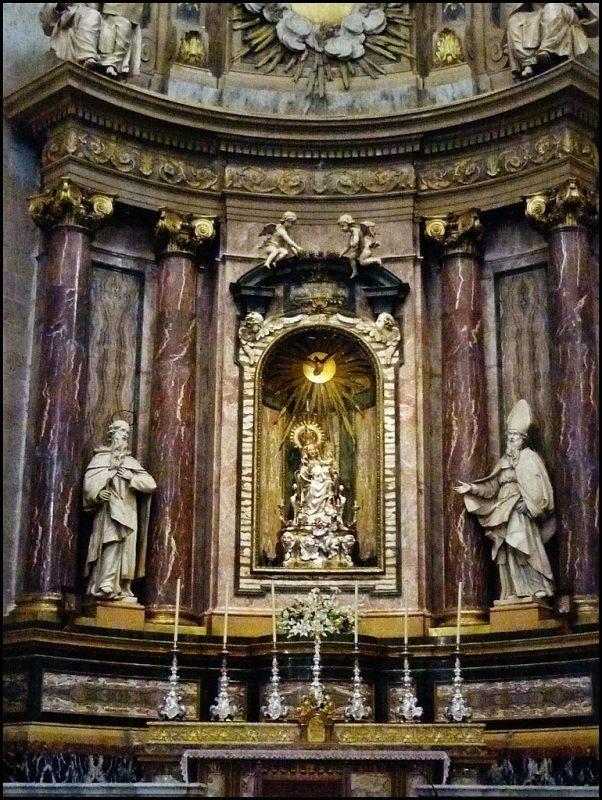 The altarpiece was designed by a renowned Italian architect called Francesco Sabatini. The image of the Virgin Mary is placed centrally on the altar. The tower on the Segovia Cathedral is approximately one hundred meters above the ground. It’s a spectacular design that almost all the Roman Catholic churches have to serve as a reminder for Christians when the church is about to start. The tower is accessible by steps that are very long regarding distance. 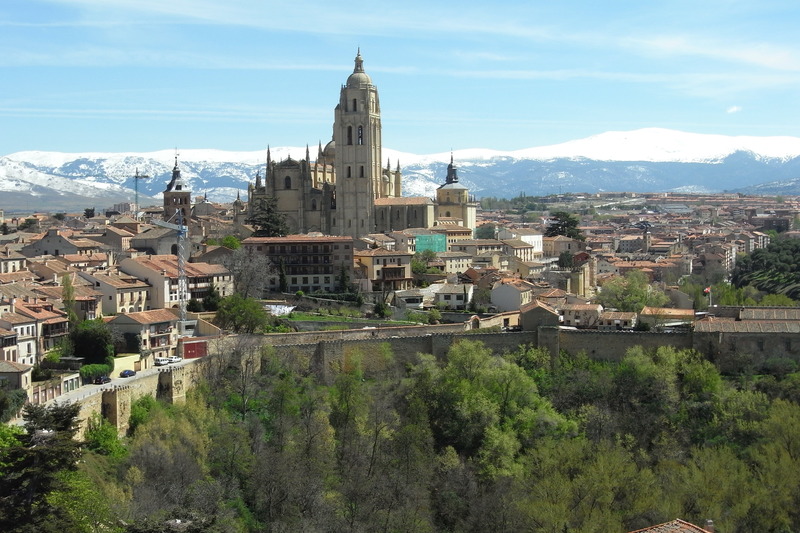 The view from the tower is quite big as the features of the town of Segovia is clearly visible from this point. 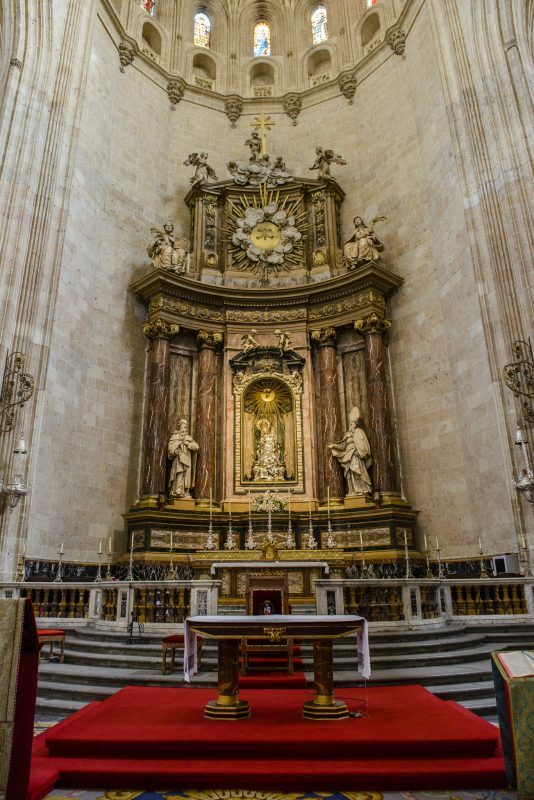 Capilla de la Piedad and de San Andres are among the chapel found in the Segovia Cathedral. The chapels are used for prayers for subtle groups of people and are accessible to everyone. 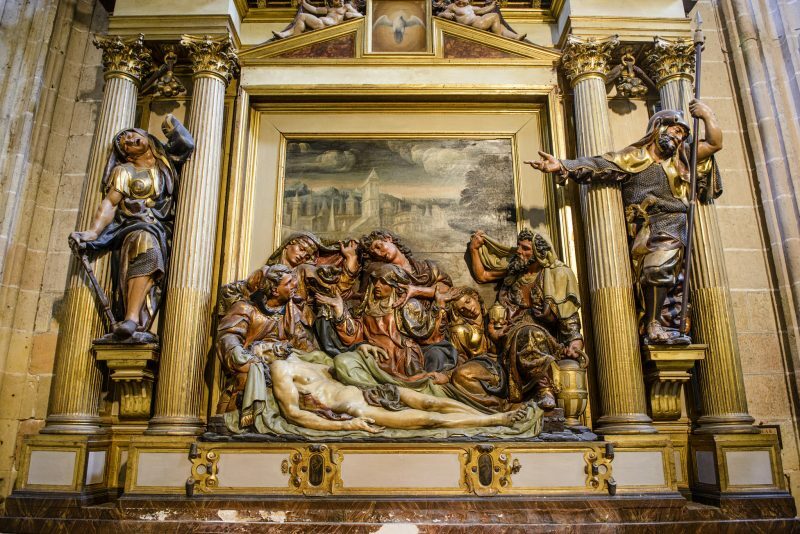 The Capilla de la Piedad and de San Andres are known for their famous altarpieces that depict the death of Christ. The two altar pieces were designed by architects, Juan de Juni, and Pedro de Brizuela respectively. The chapel of ‘The Conception explicitly singles itself out in that its dedicated to the Virgin Mary, who the Segovia Cathedral is all about. The chapel has several symbols and paintings depicting the traditional immaculate conception. An artistical piece that is only found in the Chapel of Conception is the tree of life. The tree of life is symbolic showing Jesus and the devil standing next to the tree with people enjoying a feast in the tree. 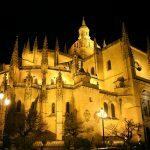 The chapel is must visit in the Segovia Cathedral. 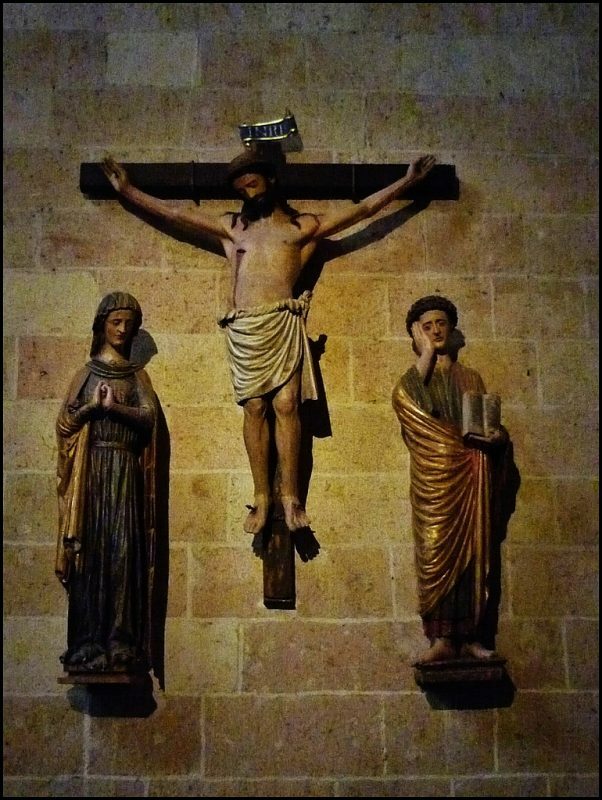 The Capilla de Santiago and Capilla del Cristo del Consuelo are the other two chapels that are found in Segovia Cathedral.The Capilla de Santiago dedication is to one of the disciples of Jesus called James. The apostle in hand was known to be the patron saint of Spain and as the first apostle to be martyred. 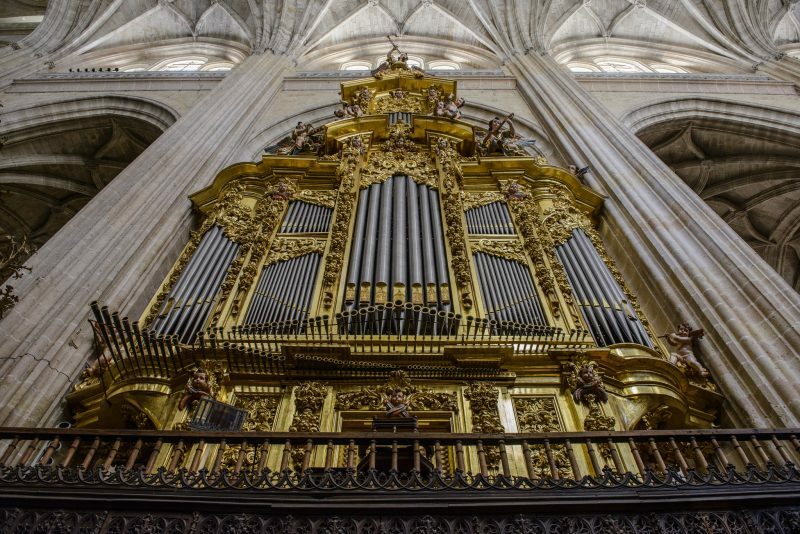 The Capilla de Santiago has paintings of angels with musical instruments. 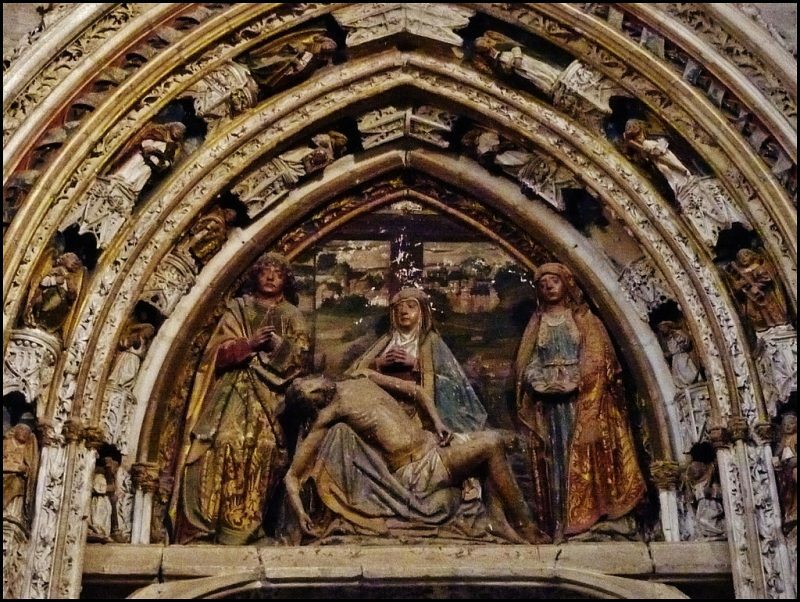 The Capilla del Cristo del Consuelo is known to have the artistic marble design of a famous bishop of Segovia called Diego de Covarrubias. The bishop was also a jurist; how interesting.